This is another guest post from Anthony Peters @apeters522, Anthony is a very innovative English High School teacher from Parklands College in CapeTown who delights in using technology in his High School English classes very creatively. We are always very happy when Anthony submits a post to us. You can view all his previous posts on our blog via the 'Anthony Peters' label https://goo.gl/3We6is under Quick links on the right side. 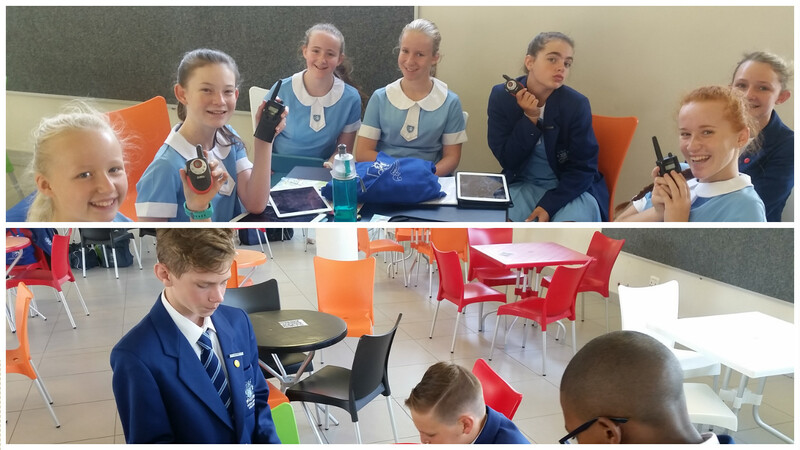 The treasure hunt required the learners to scan QR Codes that gave them a clue (in rhyme) to a location somewhere in the school. 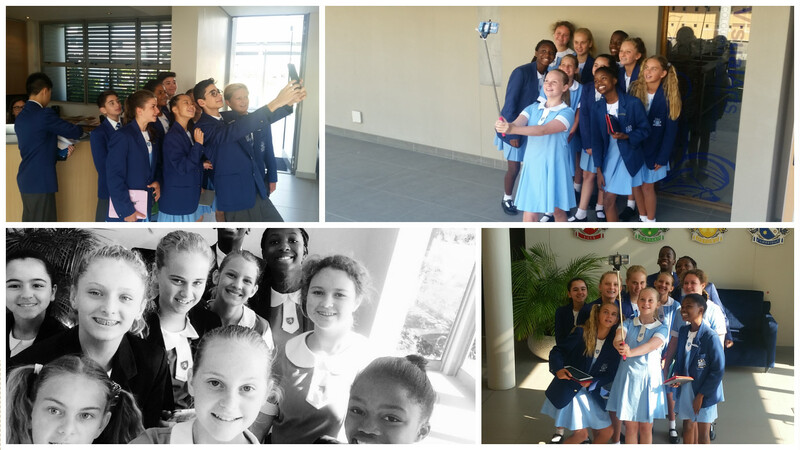 The learners were required to find these locations and take a ‘quality’ selfie at each stop. 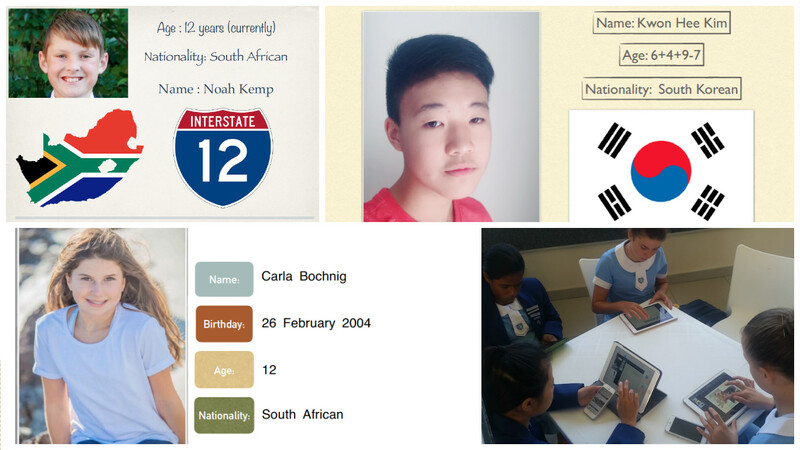 The learners then had to submit these images to a Google Folder and share it with Mr Peters. 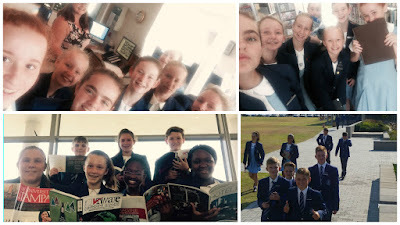 This fast-paced and adrenaline-fuelled task achieved numerous benefits: it helped the learners to familiarise themselves with the school’s numerous buildings, it taught them how to use the numerous facets of Google Drive, it encouraged a great deal of communication, collaboration and leadership within the groups, and let’s not forget, it was a great deal of fun! As the learners were new to the school, it was important that we all got to know each other better! 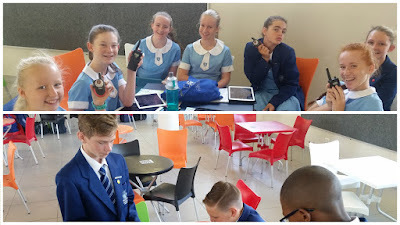 After doing some basic revision of the highly versatile app Keynote, the learners were tasked with creating their own five-slide presentation including ‘the mandatory selfie’ of themselves, their family, hobbies, pets, as well as an amusing video of one of the aforementioned. These were then submitted to the Google Classroom. 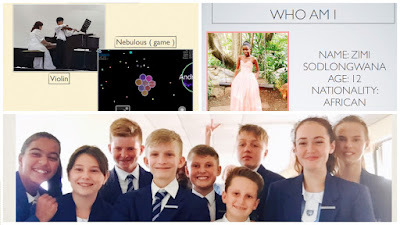 The professional quality of their presentations was crucial and this also surreptitiously encouraged them to refine their use of various apps that will be used within lessons later this year. 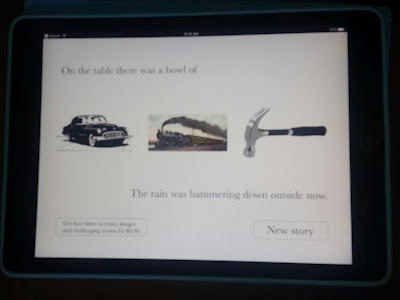 The art of quality storytelling is an important skill within English and this training session encouraged our budding authors to think on their feet with a ‘Speed Story’ task! 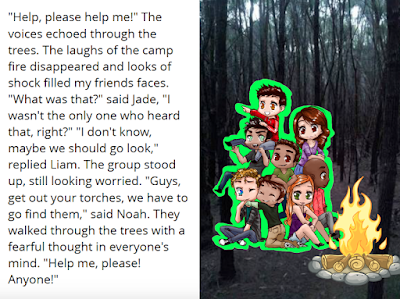 In groups, learners had only twenty minutes to come up with a short story using the Tell a Tale app! 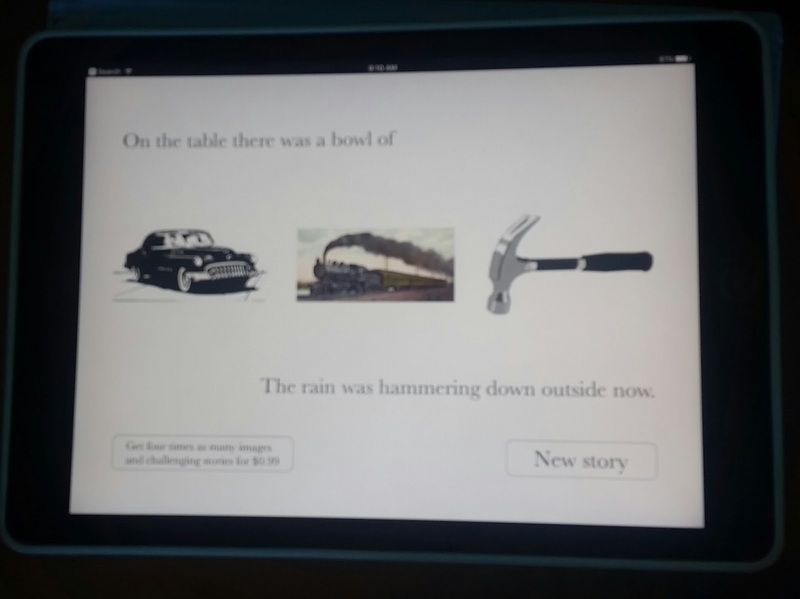 This application gave them only the introductory sentence, three objects and the concluding sentence as inspiration so this really tested their imagination! A representative of each group then read out their group’s story in order to stand a chance of winning a chocolate! 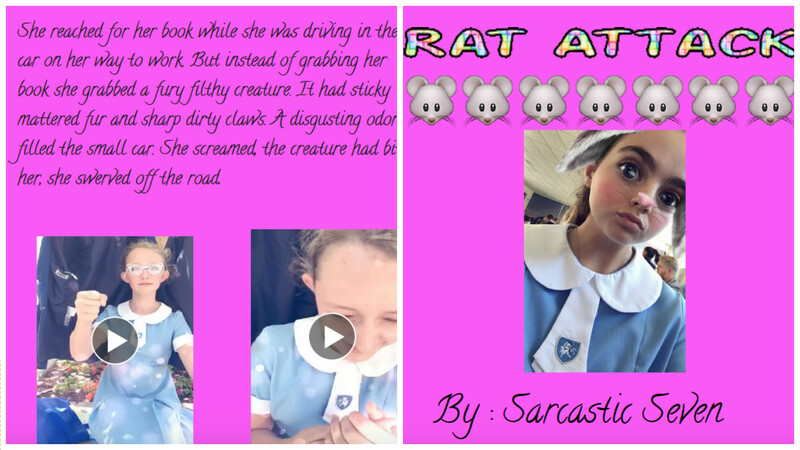 After this high-speed challenge, the learners were required to convert the plethora of exciting stories into a digital book inclusive of images, voice clips and videos using the Book Creator app. 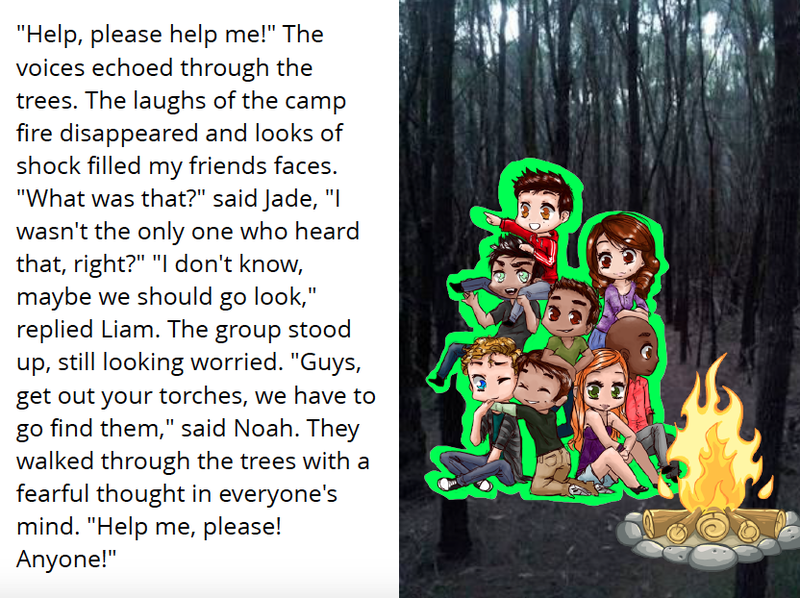 Some members of the ever-imaginative group even went above and beyond and created their story characters using Snapchat! We greatly look forward to seeing what this innovative group of young minds are capable of this year so follow the College’s Twitter handle (@ParklandsTweet) and mine (@apeters522) for live updates!" Currently there are 135 Microsoft Innovative Educator Experts in South Africa and Lesotho. 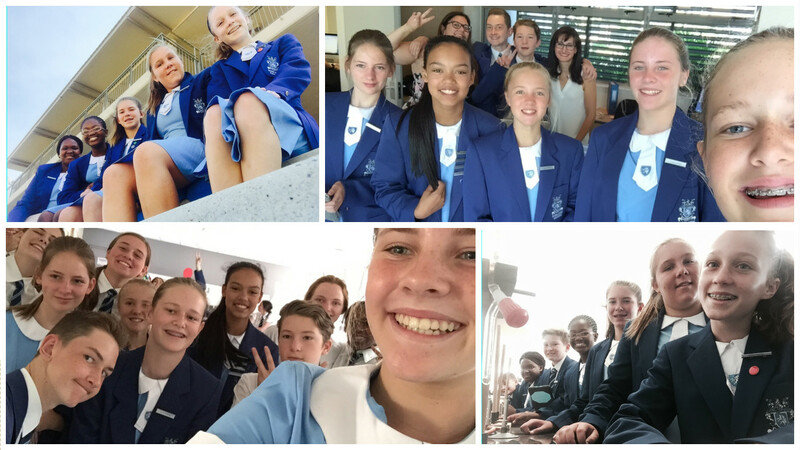 Of these, five have been selected to attend Microsoft's 3rd annual E² - Education Exchange taking place in Toronto, Canada between 21 and 23 March 2017. This exclusive three-day event will bring together 300 of the most innovative educators from around the world for the opportunity to collaborate, create, and share their experiences on how to integrate technology and pedagogy to advance learning, achieve student outcomes, and transform education. Congratulations to Freddy Chireka (Vastratech – Gauteng); Peter de Lisle (Hilton College – KZN); Matthew Hains (Woodlands College – Gauteng); Justin Harper (Saheti School – Gauteng); and Amandla Vinjwa (Sivile Primary – Western Cape) who have been selected to participate in this event. SchoolNet’s Megan Rademeyer will also be attending the E² - Education Exchange as a Microsoft Fellow and will be presenting a session. In order to be selected for this great opportunity, MIE Experts were expected to boost their own skills by completing activities on the Microsoft Educator Community; they were asked to share their skills through uploading a learning activity; participating in webinars and producing blogposts; and they were active in the social media discussions around using technology to enhance teaching. Whilst only a few MIE Experts will have a chance to participate in this E² - Education Exchange in person – other MIE Experts will be able to join in the online event and we are sure that those who attend will share their experiences and learnings upon their return. On Thursday afternoon 26 January at 3:30pm we held a SchoolNet free webinar entitled ''Managing the Connected 21st Century learner with OneNote Class Notebook'. Our speaker was Freddy Chireka, a MIE Expert and MIE Master Trainer who is experienced in training teachers in ICT integration. He has 10 years of teaching experience including his current role as Professional Learning Specialist at Vastratech PD Academy, South Africa, where he is in charge of Technology Integration in Learning Spaces. We used the Adobe Connect webinar platform for the webinar. Student Notebooks: private notebooks that are shared between each teacher and their individual students. Teachers can access these notebooks at any time, but students cannot see other students’ notebooks. Microsoft has just announced that the Partner in Learning School Review (PilSR) has been updated, streamlined and re-introduced as the School Transformation Survey and is ready now! It is available at http://bit.ly/2jukdwc on the Microsoft Educator Community. This is a tool which supports the leadership of 21st Century Pedagogy referenced in the Microsoft Education Transformation Framework http://aka.ms/stframework. It should become a critical tool in your work with individual schools, districts and at system levels as it can show measurable improvement over time. The School Transformation Survey is a whole school survey tool used for bench-marking innovative practices, measuring improvement and identifying growth points. This survey measures the perception of leadership and educators around the components of Innovative Teaching and Learning and provides a report within MeC, as a printable PDF and as a data file. The Survey tool supports the Leadership of 21st Century Pedagogy organizer in the Microsoft in Education Transformation Framework. The school simply identifies a survey administrator who reviews a quick user-guide Office MIX and receives a code to unlock the survey on the administrators profile in the Microsoft Educator Community. Undertake the survey with a pilot group. Have the admin create a sample survey for a pilot group of teachers and leaders to take so you can best understand how to introduce this to your staff and answer any questions. Create time to walk through the survey as a staff . Develop shared understanding around some of the language will ensure validity of the results. Understand what could be next. The School Transformation Survey will identify Innovative Teaching and Learning strengths and growth points. The 21CLD Program available in the Microsoft Educator Community http://aka.ms/21cldcourse will develop capacity to design learning that develops 21st century skills. You will find the School Transformation Survey an invaluable to tool to use in continuing your transformation journey. 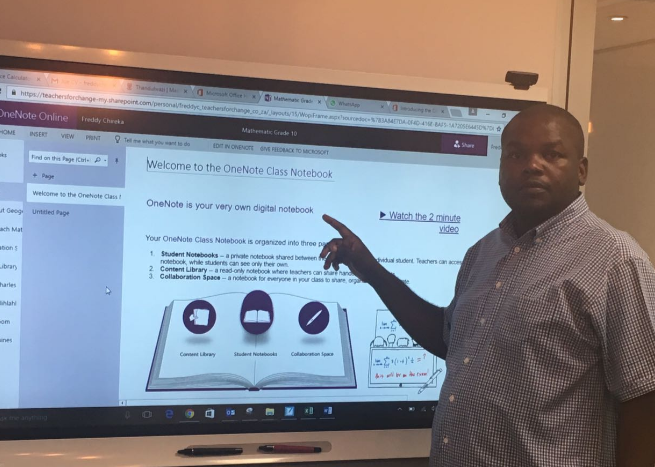 We are pleased to announce that our next free webinar, 'Managing the Connected 21st Century learner with OneNote Class Notebook', will be held on Thursday 26 January at 3:30pm. Our speaker will be Freddy Chireka, a MIE Expert and MIE Master Trainer who is experienced in training teachers in ICT integration. 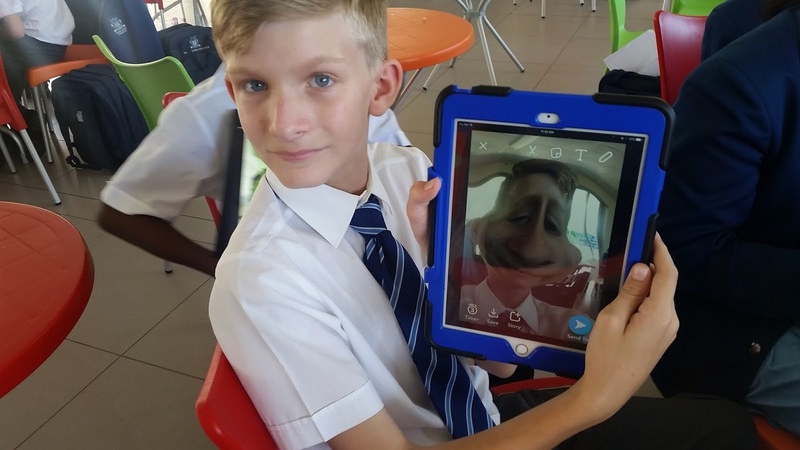 He has 10 years of teaching experience including his current role as Professional Learning Specialist at Vastratech PD Academy, South Africa, where he is in charge of Technology Integration in Learning Spaces. We will be using the Adobe Connect webinar platform for the webinar. Please join us if you can. He will also show teachers how to use the Class Notebook Add-in to effectively manage their Class Notebooks. 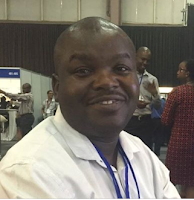 Presenter: Freddy Chireka is a Professional Learning Specialist at Vastratech PD Academy South Africa in charge of Technology Integration in Learning Spaces. 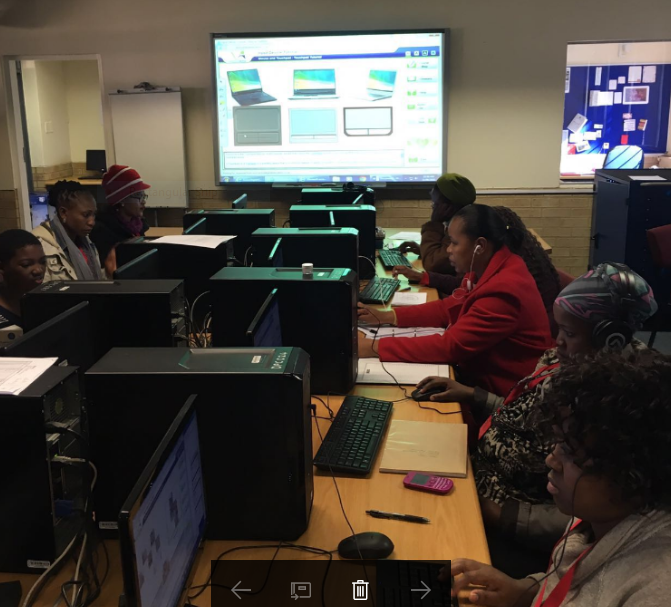 Freddy also serves as a Technology Coach at Thandulwazi Maths and Science Academy to help prepare upcoming Educators to be ready to teach with technology. Freddy is a MIE Master Trainer, SMART Certified Trainer and a current MIE Expert. 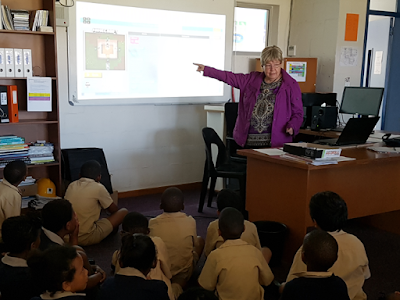 Microsoft MIE Expert Educator who teaches ICT Technology to Grades 1 – 7 at The Rock Academy in Fish Hoek, South Africa. She adds that she loves this opportunity as she is able to bring technology innovation into her lessons. Fiona feels that she has Microsoft to thank for many of her professional achievements. “Microsoft offers so many innovative opportunities to teachers around the world and in South Africa, and by taking hold of those and stepping out of my comfort zone I have got to where I am now. Teachers can create their own professional development opportunities online these days – there are so many free opportunities provided by Microsoft and others. Try to participate in the Global Skypathon every year, and join in with Microsoft’s Hack the Classroom events. Listen to webinars. Be willing to try out new tools in your lessons. Network with teachers far and wide. Start blogging about what you do in the classroom – it’s a great way to share with others. And of course, join in your class with global projects. Ultimately, it’s all about our learners and preparing them for the future." Visit the Microsoft Educator Community at https://education.microsoft.com/ to find out what Microsoft offers teachers. Fiona concludes: "Dare I say, OneNote, PowerPoint with Office Mix and Sway are fast becoming an important part of my favourite program collection! I use them in so many of my lessons. I am planning to upload many of these lessons, on a regular basis, to the Microsoft Educator Community so that I can share ideas with others." Why not register for the Open Education Global Conference in Cape Town this year? The Open Education Global Conference is being held in Cape Town this year! The Open Education Global Conference is the annual opportunity for researchers, practitioners, policy makers and educators to deeply explore open education and its impact on global education. Conference participants engage with thought leaders in open education and have the opportunity to share ideas, practices and discuss issues important to the future of education worldwide. The Open Education Global Conference is the largest conference devoted exclusively to open education, attracting participants from more than 30 countries around the world. The Open Education Global Conference 2017 is organized jointly by the Open Education Consortium and the University of Cape Town. 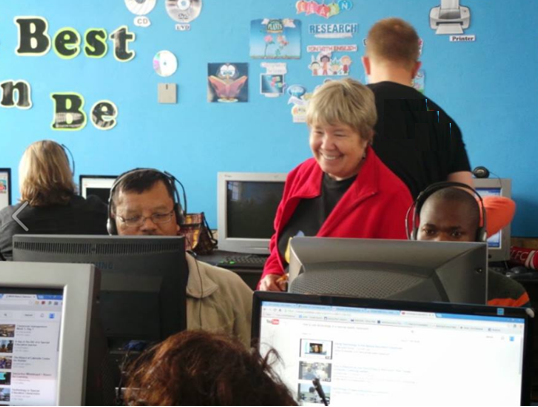 The organisers say on their website: "We’re particularly excited to have Cape Town as the venue in 2017 conference, since it marks the 10 year anniversary of the Cape Town Open Education Declaration. 2017 actually marks several important milestones in Open Education, including the 15 year anniversary of the term “Open Educational Resources” and the 5 year anniversary of the Paris OER Declaration. For those who remember the start of the movement, we’ll have the opportunity to celebrate and reflect on these and other achievements, reconnect with colleagues and friends, and learn about new ideas and initiatives. New to the Open Education Global Conference? A special welcome to you, and an invitation to join us to hear about what’s going on around the world, share your experiences and ideas, meet some really dynamic people, and help us realize the open future of education. "The Open Education Awards for Excellence will be presented during the conference. These awards recognize distinctive open education projects, technological innovations, notable open courses, and exemplary leaders in Open Education worldwide. We encourage you to participate in the awards process by nominating your favorite people, projects and ideas. Call for nominations will open on September 05, 2016. Learn more about the awards and make your nominations here." http://bit.ly/1ZYy8Z7. Today we focus on Freddy Chireka. 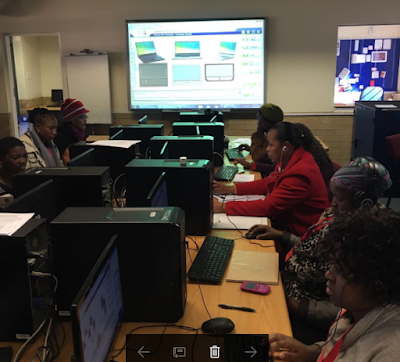 Freddy is passionate about training teachers in South Africa in the use of Microsoft applications. He taught in Johannesburg for nine years. His turning point came when the Gauteng MEC for Education, Mr. Panyaza Lesufi, launched the ICT Integration Project. Freddy then became effectively involved in the training of teachers and served as an ICT Co-ordinator, championing the adoption of the use of ICTs in learning. As an ICT Coordinator he worked closely with the District’s E-learning Unit in implementing various E-learning Projects. In 2015 Freddy joined Vastratech Professional Development Academy and Thandulwazi Maths and Science Academy as a Technology Coach. 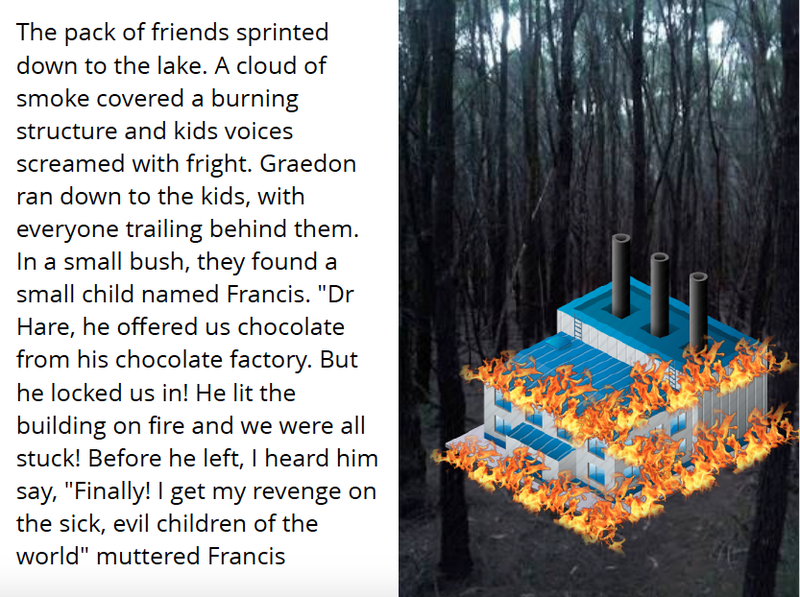 Freddy states that,“Microsoft’s tools for education, to me, are vital in assisting teachers to move away from the 20th century type of education that prepares students for routine and general recall skills to the excitement of implementing 21st century thinking,” He maintains that he is driven by the desire to play a meaningful role in society through effective education that fosters the development of 21st century skills such as critical thinking, collaboration, communication and creativity. 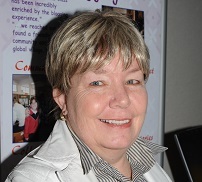 “At Thandulwazi Maths and Science Academy under the leadership of Ronelle Klinck, we train teachers from under privileged communities on the use of ICTs in education in digital literacy and from 2017 we will be training all the teachers on the use of Microsoft Tools for Education. By training teachers, I am thrilled that I am contributing to the goal of preparing learners for the future.” Freddy is also a Professional Learning Specialist at Vastratech where he is tasked with running professional development activities across the country. 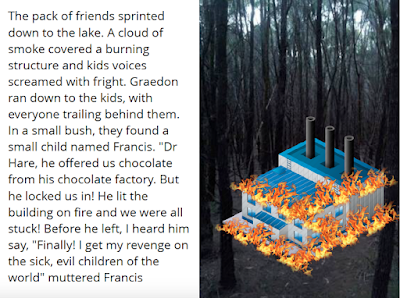 Teachers, have you tried using OneNote? Once you do you'll be hooked! 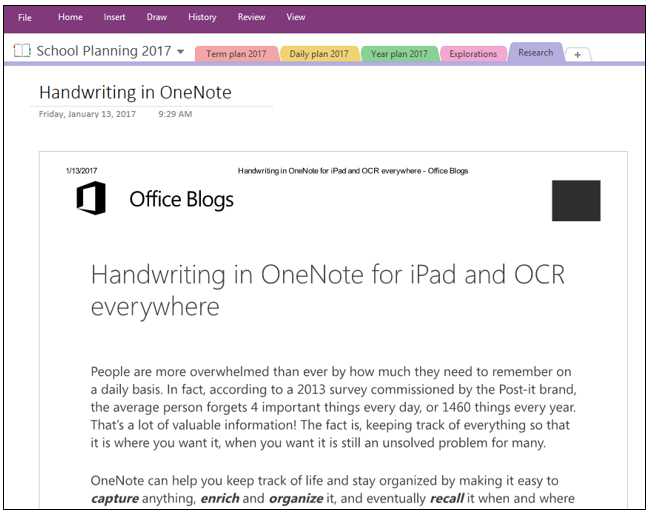 OneNote is a digital tool from Microsoft that allows you to type, write or draw your notes and store them in an organised fashion in a digital notebook. You can access your content from anywhere on any device. 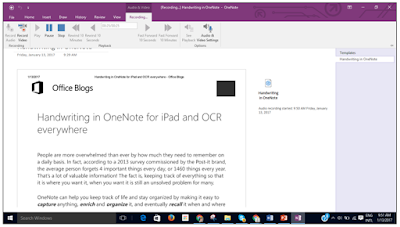 I am a keen OneNote user and this year I plan to explore all the possible features of using OneNote in teaching. 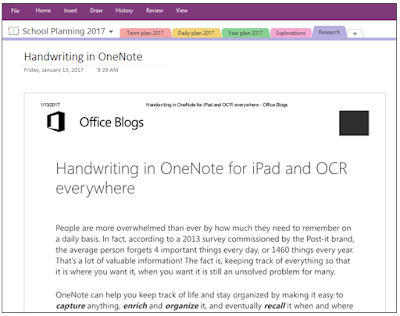 In this post I will discuss some of the the benefits of OneNote to teachers. Really, it is a must! My school doesn’t subscribe to Office 365 but we do have a licence to use Microsoft products at school. 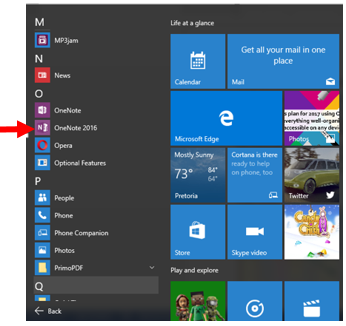 We have Windows 10 desktops so OneNote is available to use. 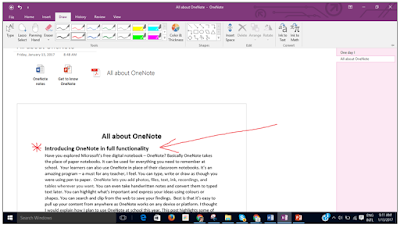 The OneNote 2016 version of OneNote on the desktop has so many incredible options to use. 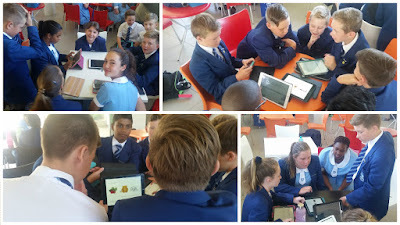 At school I let the learners use OneNote online and I use that too for demonstration purposes. It doesn’t have as many features as OneNote 2016 on the desktop, but it syncs with my home version of OneNote 2016 which is great! In the features that could help teachers, mentioned below, I’ll note which version of Onenote this refers to if it is only found in one of the two versions I am referring to. If you go to Home >To Do tag you can easily create a TO DO list. This can be created on a separate page or it can be added to any page of notes. You can choose different page colours (Go to View > Page colours) and you can also add a variety of line templates in OneNote 2016. (Go to View > Rule lines). Since you can write anywhere on a OneNote page the your typing fits beautifully into the lines. You’ll see that you have a place for SECTIONS and PAGES in your OneNote Notebook so that your OneNote Notebook is always clearly laid out. In OneNote online these pages are stored in OneDrive. In addition to taking notes on the page you can also insert documents such as PDFs, Word documents, PowerPoint slides etc. Add the document of your choice from its saved location. 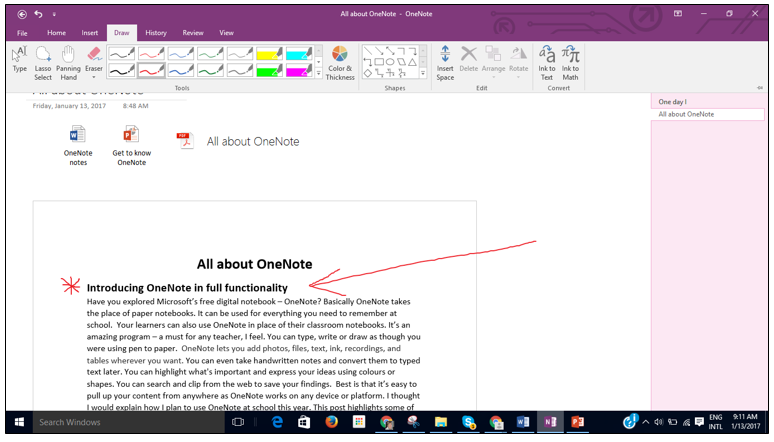 It will be added to your OneNote as shown. In a Word document use the PRINT icon and then select SEND TO ONENOTE. You’ll notice a message comes up in OneNote asking where you would like to add this. In OneNote 2016 these open when you click on them. In OneNote online you have to download the document and then open it. Select where you would like to add the notes. Below is an example of a Word document that I have added. I cannot make any changes to the wording but I can write on the page. Inking (drawing) is a great feature to use. You'll find this feature under Draw in the menu bar. Any touchscreen device or a computer with a mouse can take advantage of OneNote’s inking feature. Hand write notes, draw diagrams, or annotate notes and images with the freehand drawing tools. You can also annotate on a page of existing notes. I love this feature in OneNote. I have created a SECTION called RESEARCH in on of my notebooks and as I surf the net and find interesting articles I would like to keep I send information to OneNote. This could be a whole page or part of a page sent directly to OneNote. Click Ctrl +P on your keyboard (or choose File > Print), select Send to OneNote 2016 from your list of printers, and your page is sent to wherever you wish to file it. 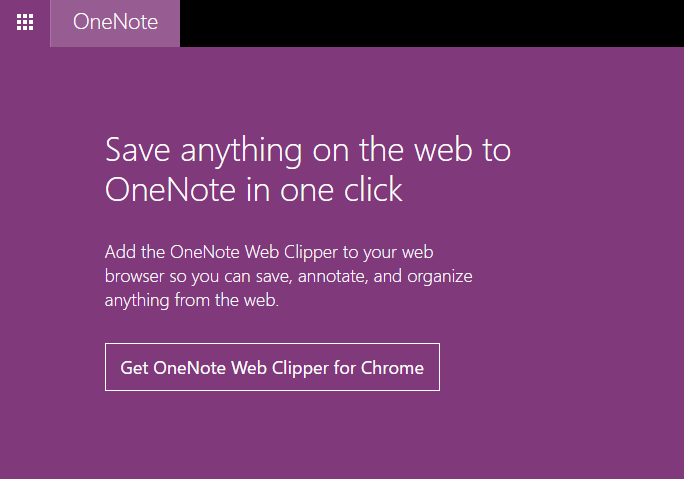 The OneNote Clipper can be used to save any page directly to OneNote without the clutter. All of your clips are saved to the Quick Notes section of your default notebook. You’ll need to install OneNote Clipper and sign in. 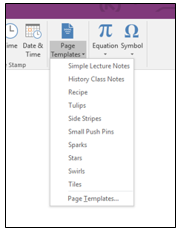 OneNote has a a selection of templates which can help teachers (and students) create better class notes. Go to Insert > Page Templates. Design your template on a blank page. Select the Insert tab. Click the Page Templates button. The Templates pane appears on the right side. Select Save Current Page as Template on the Templates pane. Name the template in the dialog box. Click Save. A new category called My Templates holds all your templates. OneNote’s recording facility is a great advantage. You can combine it with text on the page. To start recording on the web, click Insert > Record Audio. Once you’re finished recording, click Stop. You can play the file by selecting it and then clicking the Play icon that appears. Click a location on the page in OneNote where you want to place the recording. Click Insert > Record Video. Recording starts as soon as OneNote adds a media icon to the page. When you want to stop the recording you press Pause or Stop on the Video tab. To play the recording, click the media icon on the page and then click Play. 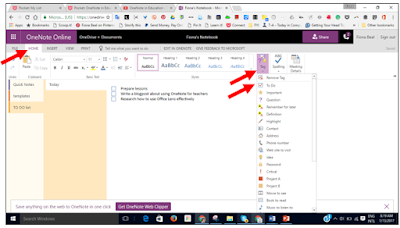 This video shows how to use OneNote to record lesson plans using the LEARN format, including how to insert a table, hyperlink to a document, and insert a screen clipping. 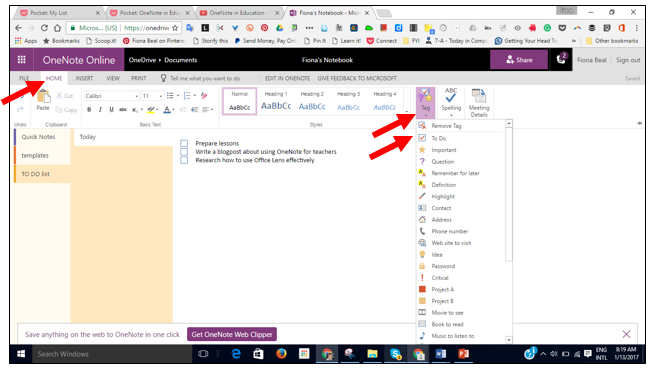 The following video shows you how to create a teacher's daily diary of lessons and notes using OneNote. OneNote is a must for all teachers who want to go paperless with many aspects of their teaching. Give it a try. Visit http://www.onenote.com/ and download OneNote today!